Triple twin bunk beds are epic space-savers! 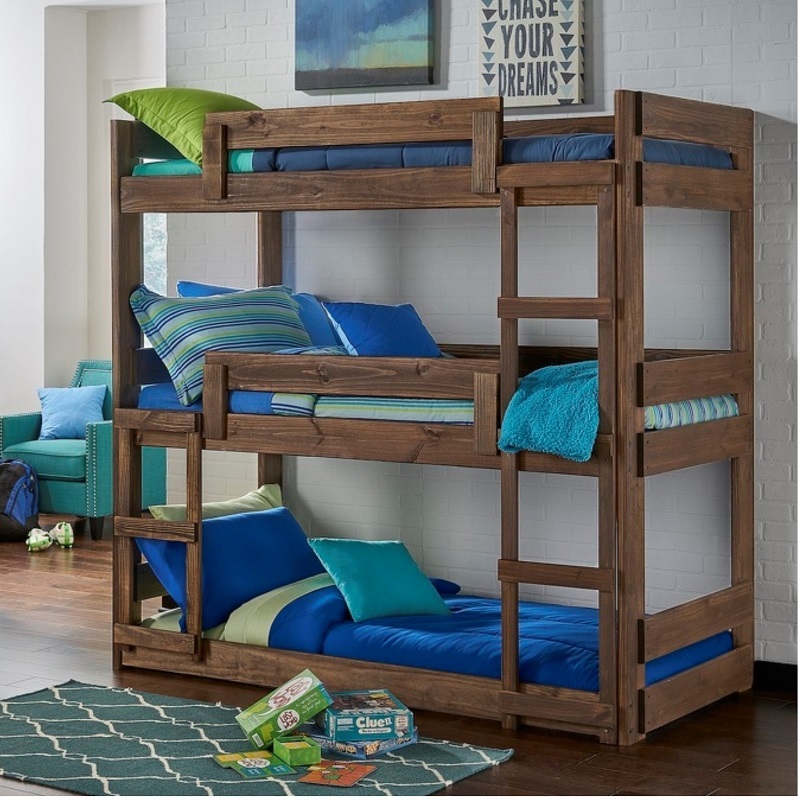 Designed to accommodate three kiddos, this piece is spectacular for siblings and sleepovers. Two ladders are in place to ensure an easy climb, and the middle and top bunks are safely secured by sturdy guardrails.